Recently, we announced what’s coming to Tortuga in 2019, including a 35L version of the Setout Backpack and the 45L Setout Backpack in navy and black. 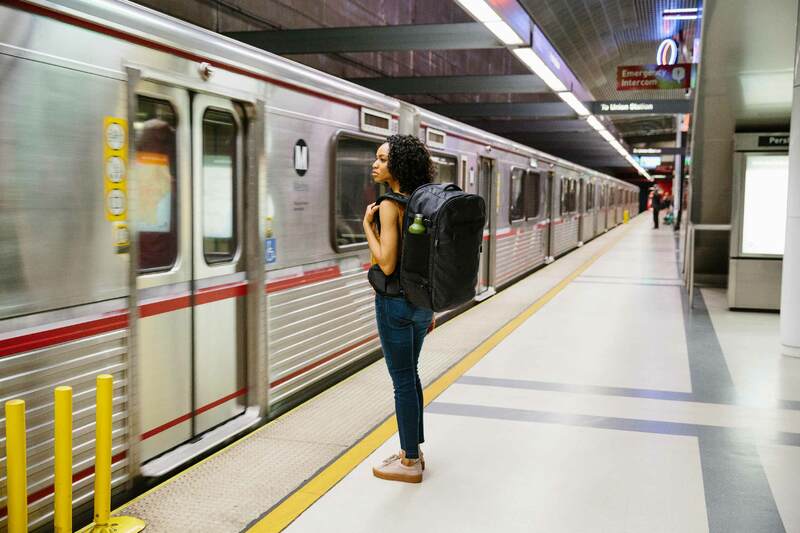 In March, we’ll release a 35L version of the Setout Backpack for travelers wanting a less-than-maximum-sized carry on or who need to be compliant on European and budget airlines with stricter baggage allowances. The Setout Backpack will come in both 45L and 35L versions, just like the Outbreaker Backpack. Also in March, we’ll be adding colors of the Setout Backpack. Both the 45L and 35L versions will be available in heather grey (the current option) as well as black and navy blue. The blue version will be the first product that we’ve released in a color other than black or grey. The navy and black versions of the Setout Backpack are made from recycled water bottles. Sign up for the wait list to be the first to know when we launch the Setout Backpack in recycled fabrics. We’re picky about the materials that we use in a Tortuga product. In order to make backpacks that are durable, weather resistant, and a pleasure to use, we craft our bags with the highest quality materials for the job. We don’t want to add “stuff” to the world – we want to make products that deserve to exist. Products that solve your travel frustrations more seamlessly than what already exists. Durability and ease of use therefore come first when we choose raw materials for our backpacks. As a brand, we have made a promise of quality, function, and durability to our customers. We take that promise seriously. As a team of individuals, Tortuga is a group who values sustainability in our personal lives. We didn’t start Tortuga to be “green” from the get-go. But we, as humans, want to make sustainable choices wherever possible — and those personal values permeate our work at Tortuga. If we can maintain our brand’s high standards for function and durability and layer in our personal goals of sustainability, we will. 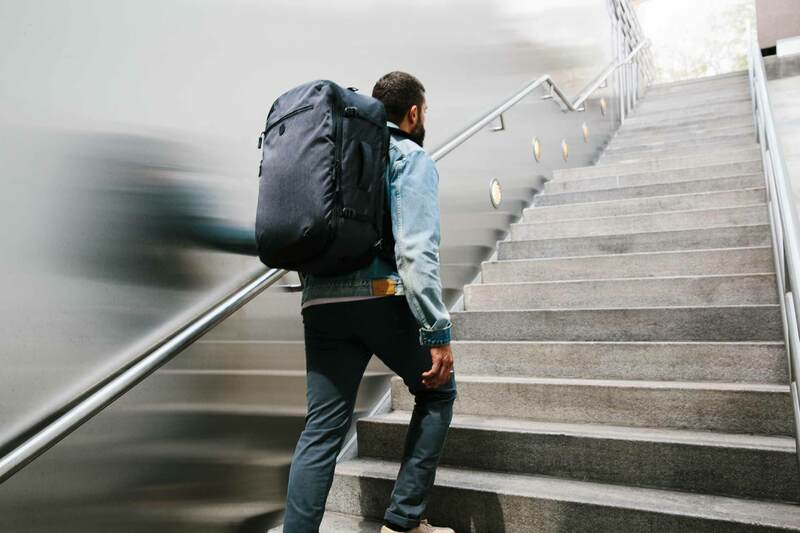 We want you to feel great about the travel backpack you reach for every time you travel. Because it’s the best bag you’ve ever carried, and because you’re making sustainable, ethical choices. Virgin polyester (i.e. polyester made from non-recycled materials), is brand new plastic. Plastic that didn’t exist before. Plastic made from definitely-not-renewable fossil fuels. Once plastic is created, it doesn’t naturally break down to nurture the earth like organic materials do. Unless plastic is recycled, it will float in our oceans or sit in our landfills for an eternity. There’s enough plastic in the world already. Too much. We don’t need to make more. Instead, we should give new life to old trash. Recycled fabric technology has come a long way in recent years. Fabric manufacturers are embedding performance properties like wicking, adaptive warming, and water repellency into materials made from postconsumer plastics at the fiber level. 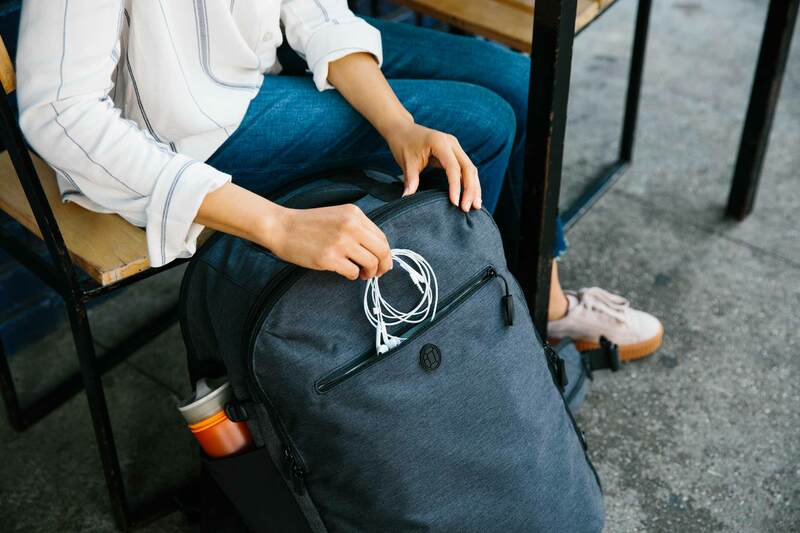 Those performance features open the door for trash to take on new life in the form of your favorite products — including travel backpacks. You’ve probably seen tons of products made from recycled plastic — perhaps leggings (Girlfriend), or shoes (Rothy’s), or puffy coats (Everlane). Add Tortuga to that list: we’ve used fabric made from recycled plastic bottles in the Setout and Outbreaker collections’ lining fabric for a long time. We wanted to start with choices that did the “most good” without sacrificing quality. We started by transitioning all lining fabrics in Tortuga bags to fully recycled versions a few years ago. In terms of yardage, the lining fabric is the largest raw component of a backpack, and high-quality, fully-recycled lining fabrics already exist. Expanding the Setout Backpack’s colorways was an ideal time for us to evaluate the strides made in recycled materials and expand our use of more sustainable fabrics — this time in the outer material as well as lining. The outer fabric of the new navy and black versions of the Setout Backpack are made from 100% post-consumer plastic bottles. We’re working on transitioning the grey version to a recycled material, as well, but that will happen slowly as a fully recycled heathered grey fabric doesn’t currently exist. In the coming weeks, we’ll go behind the scenes of our recycled fabric partner’s factory in Greensboro, North Carolina to show you how we take a post-consumer plastic bottle and turn it into fabric. Sign up for the wait list to be the first to know when we launch the Setout Backpack in recycled polyester.